I'm fairly picky when it comes to new fragrances but I also used to go through perfumes in a flash, which now I'm trying to avoid by having more of them (the logic of this seems to be something I've convinced myself of). 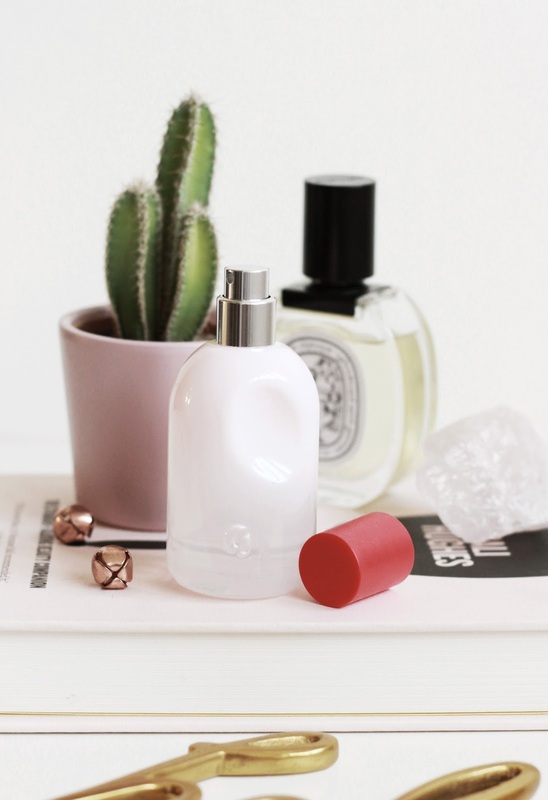 When I first had a sniff of the Glossier You Perfume when I got a sample in one of my orders, it was instant love and I knew that I would have to give in and get the full-size soon. I thought I would share with you some of my thoughts on Instagram's most lusted after scent at the moment. It's unlike anything I have in my collection and I think it's best described as a soft, yet subtle musk scent, which is almost like when you sniffed each other's jumpers in primary school to see who's was who's. It smells familiar and somewhat comforting due to the ambrette, but for me, it's not the usual floral scent that I always opt for, which I actually love - It feels more grown up for me. Two spritzes is enough and I find it gets better once it's settled on the skin for a few minutes, as when it's initially applied, it almost has an 'alcohol' fragrance to it which I'm obviously not keen on, but you'll be pleased to know it disappears completely. The bottle wasn't something I was keen on aesthetically, or more specifically the red cap, the ombre millennial pink glass bottle looks super chic, but I find the red top can be make it look a little cheap, but I actually prefer it much more in the person than in photographs! Have you tried Glossier's new perfume?